The basic, higher and additional rates are all unchanged, as are the rates on dividends and savings income. The dividend allowance, personal savings allowance, starting rate for savings and starting rate limit all stay at their 2018/19 levels. 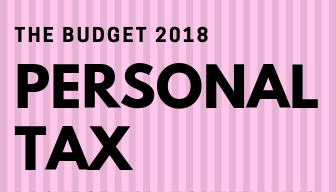 Other income tax personal reliefs are increased in line with inflation, as is the capital gains tax annual exempt amount which becomes £12,000 from 6 April 2019. Rates of capital gains tax are unchanged, as are income tax rates for trustees. • 21 to 24 year olds by 4.3% from £7.38 to £7.70 per hour • 18 to 20 year olds by 4.2% from £5.90 to £6.15 per hour • 16 to 17 year olds by 3.6% from £4.20 to £4.35 per hour • apprentices by 5.4% from £3.70 to £3.90 per hour.